She graduated from the 1st Medical Faculty of Charles University in 1996. 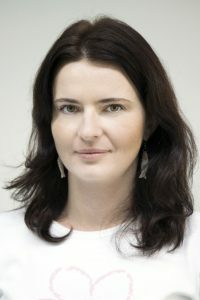 After graduation till 2010 she worked at the Department of Dermatology University Hospital Vinohrady, in postgraduate studies she worked at the clinic for occupational skin diseases and allergology, and specialised clinic for the treatment of acne. 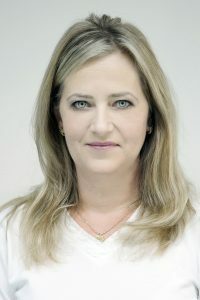 In 1999 she passed the first attestation degree in dermatolovenerology, in 2006 she was awarded the professional qualification in the field of dermatolovenerology. She participates in international congresses, seminars and internships. She graduated Medical Faculty of the Prag Charles’University in 2003. She worked as a dermatologist in the Hospital Semily in 2003-2011. 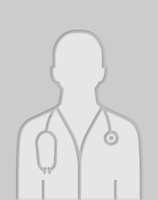 In 2010 she past the speciality examination in dermatovenerology. In the M.L.C. he works as a vascular surgeon – consultant. He performs angiological examination of the vascular system including ultrasonography and varicose veins removal by Diomed laser. If needed he is able to perform a surgical treatment in an external clinical department. He has many years of practical experience in angiological surgery in IKEM in Prague. He performs ultrasonography and varicose veins removal by Diomed.